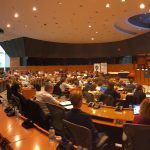 On 12 July 2017, the meeting of the MEP Interest Group on Brain, Mind and Pain, and the Interest Group on Mental Health, Well-being and Brain Disorders took place in the European Parliament (Brussels) in partnership with EBC. 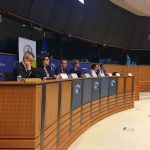 The event was hosted by MEPs Jana Žitňanská, Marian Harkin, Michał Boni and Marek Plura. 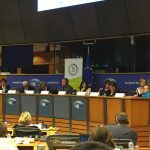 The first panel addressed the conclusions and recommendations of EBC’s Value of Treatment research project and White Paper, and explored the value of early intervention, using the case-studies of four disorders – presented from various stakeholder perspectives –and how the EU can support the solutions identified. 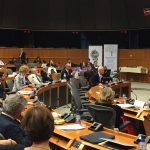 The panel, led by Paul Arteel (GAMIAN-Europe), included presentations from the Stroke (An epidemiologist and neurologist’s perspective – Dr. Alistair Webb, UK), Multiple Sclerosis (A public health and policy’s perspective – Ms. Vinciane Quoidbach, Belgium), RLS (A patient’s perspective – Ms. Joke Jaarsma, Netherlands) and Schizophrenia (Families’ perspectives – Ms. Aagje Ieven, EUFAMI, Belgium) working groups. 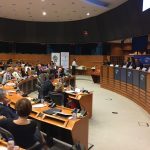 The second panel, chaired by Ann Little, President of the European Federation of Neurological Associations (EFNA), focused on the possible next steps in the Value of Treatment project – exploring the application of the developed methodology to other disease areas e.g. rare diseases or chronic pain, as well as a future focus on interventions such as rehabilitation. 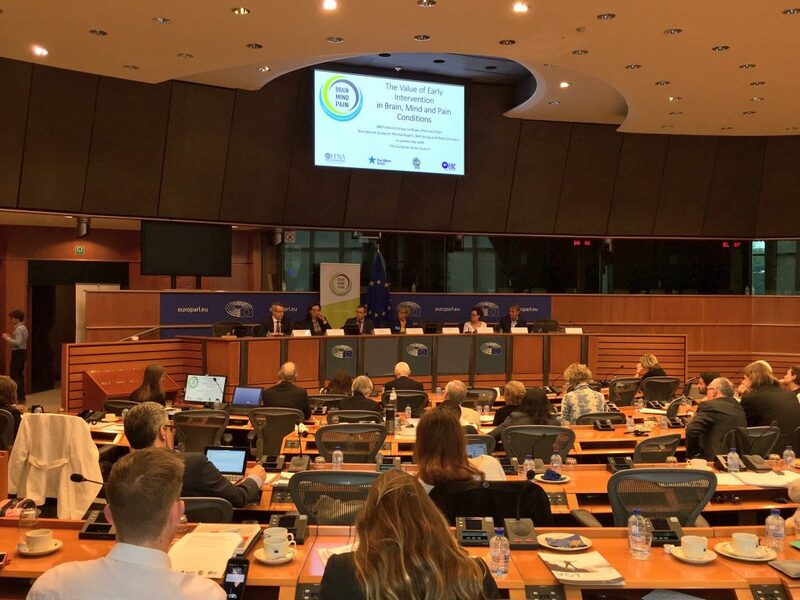 MEP Michał Boni began the discussion by discussing a move and need towards Integrated Care, and Ms Vinciane Quoidbach, Public Health Policy, Research Project Manager Value of Treatment Research Project at EBC presented the Value Proposition of a second VoT project. The panel then continued into a discussion on potential case studies, addressing unmet needs, with presentations on rare diseases (such as Ataxia): A neurologist’s perspective – Prof. Paola Giunti, UK, Myalgic Encephalomyelitis: A patient perspective – Nancy van Hoylandt, Belgium and Chronic Pain: A researcher’s perspective – Dr. Nick Guldemond, University of Rotterdam. 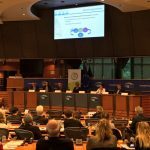 Before the panels concluded with a Q&A from the audience, Guest speaker Stephane Hogan, Head of Neuroscience, DG Research & Innovation gave his report on the work of the Commission and the continued support and dedication to brain research.